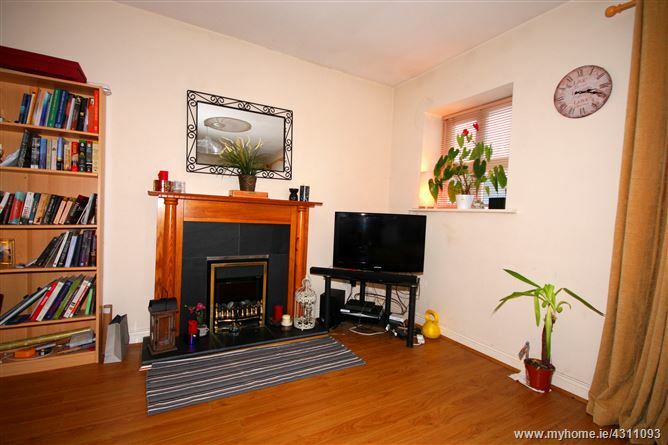 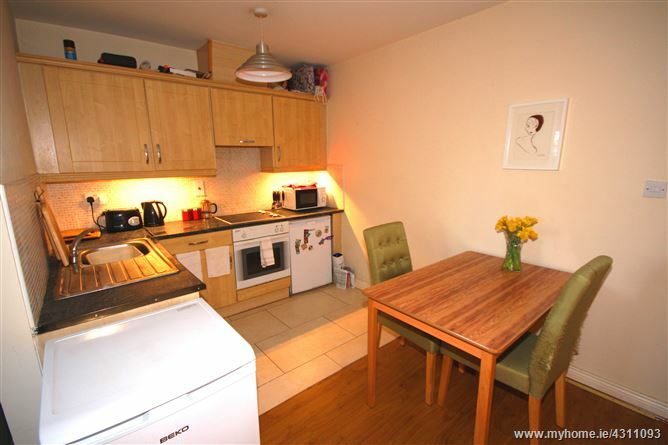 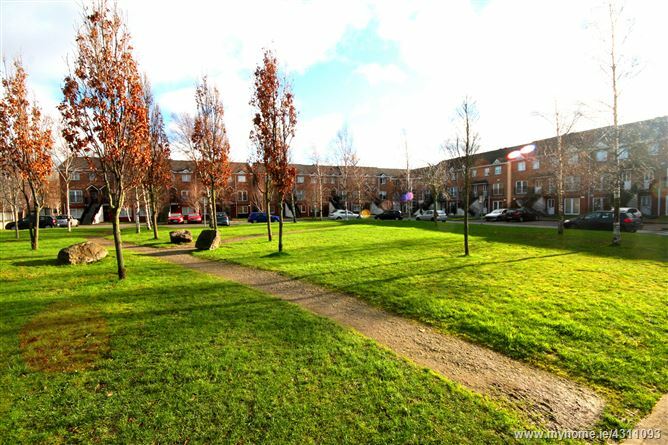 Duffy Auctioneers take great pleasure in bringing to the market this stunning one-bed own door apartment located at the end of a quiet cul de sac in Portersfield Clonsilla. 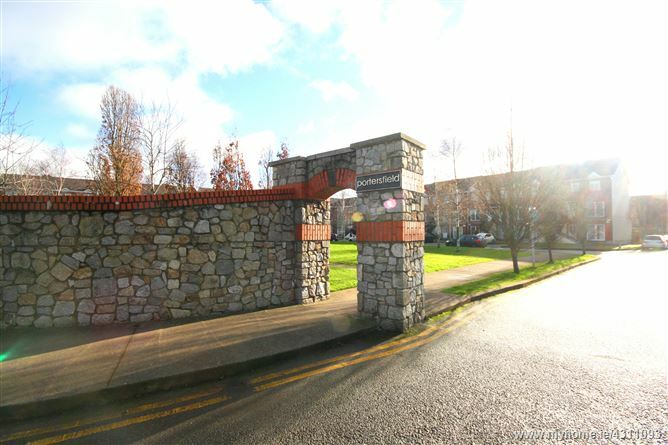 A unique and rare opportunity to purchase this magnificent bright and spacious one bed starter home C 600 Sq Ft, strategically located in this mature and popular residential area of Clonsilla. 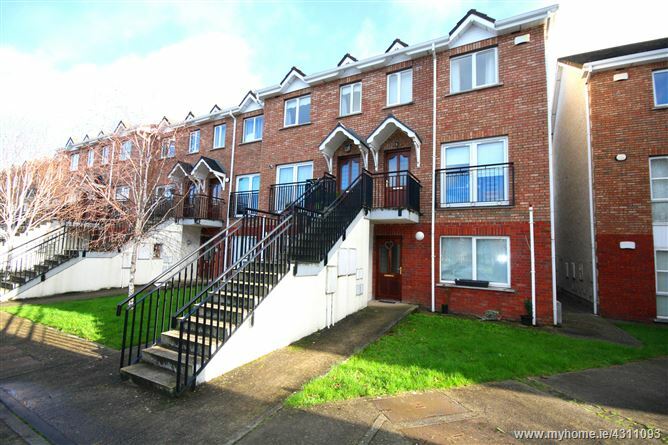 An excellent opportunity for any first time buyer to acquire this modern property located in this award winning development just a few minutes stroll from Coolmine Station. 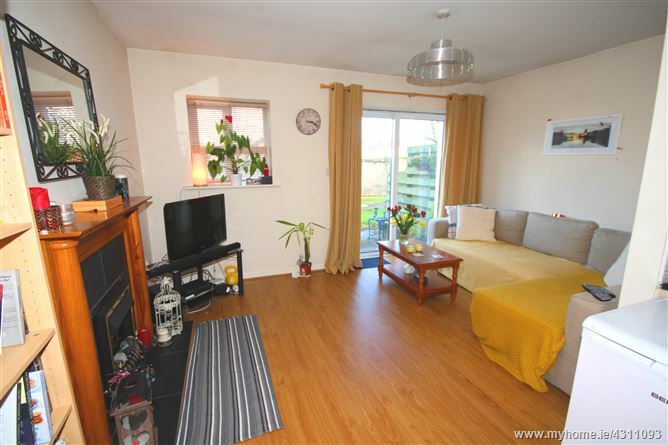 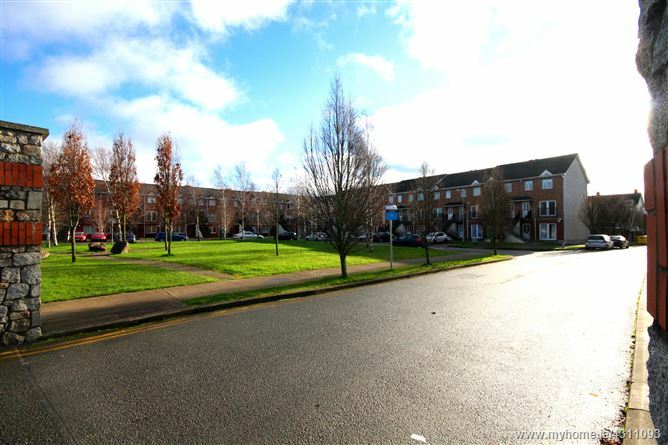 This superb location is only minutes away from all local amenities and services including the Blanchardstown Shopping Centre, Coolmine Station and the M50/N3 Motorway. 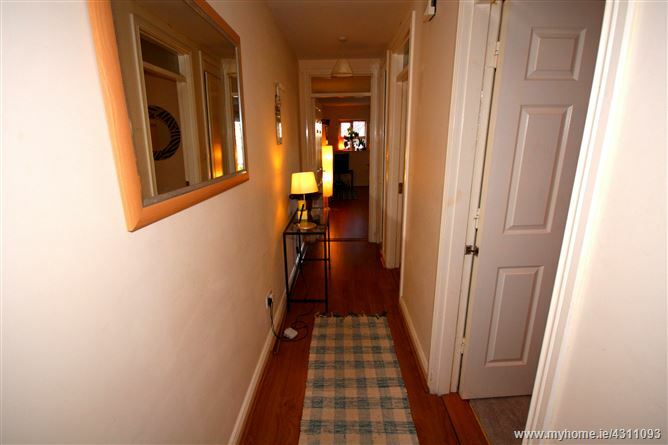 Accommodation briefly comprises entrance hallway with wooden floor, large living room with feature fireplace and wooden floor and a stunning open plan fully fitted kitchen/dining room with tiled floor. 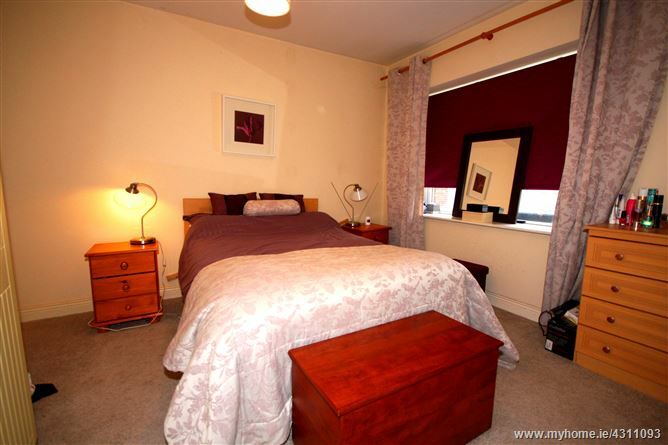 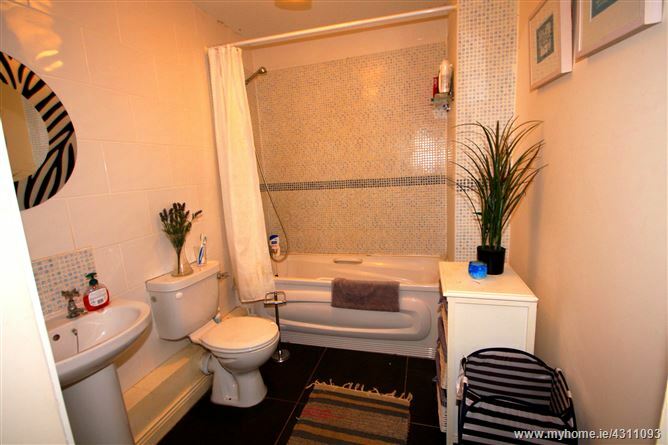 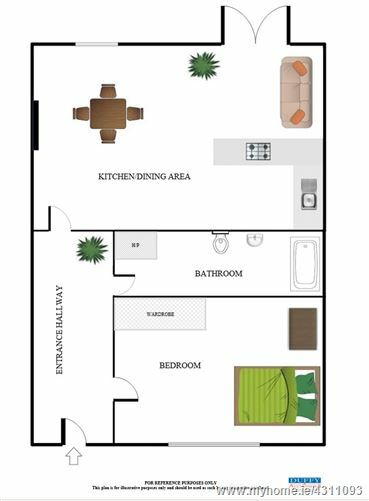 The large double bedroom has built in wardrobes and carpet floor and is located next to the fully fitted family bathroom with bath and shower over.